Raising a gifted child can be a perilous, mind-boggling process: constant daydreams. Missed assignments. Obsessions. Questions. Lost sleep. Fortunately, you can launch her with a successful skill set, as long as you have systems in place. We discovered Sticky was missing at 2:10 in the afternoon. He had come with us on a walk the day before, all seven feet of him used alternately between walking stick, balance beam, and friend. A frantic retracing of steps; a quiet admission of guilt. Her sister had put him down by the bench at the playground. We had forgotten to bring it home. Of course I stopped them, and of course, there was a great expression of upset. I’ll spare you the sordid details, but suffice to say I was convinced to load everyone in the car, drive up to the playground, and retrieve the precious Sticky, who, to our dismay, had been unceremoniously snapped in half. Cue three hours of tears and various attempts at building a prosthetic limb. Our afternoon plans went out the window. The kids fought over fault till my husband came home. At 5:30 we sent them down to the basement to clean up before dinner. 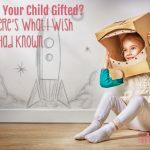 For the past eleven years, my husband and I have been raising gifted and Twice-Exceptional children. It is not a vocation for the faint of heart. Everything we experience is on overdrive, from emotions to interests to daily life. Our house is in constant disarray. I have to stand over them to make sure they do school. Bedtime takes hours. Sleep is never uninterrupted. There are two sets of food at every meal. 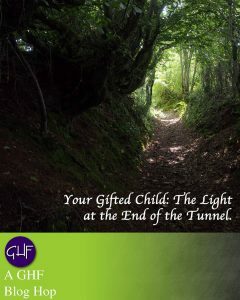 Reality is quite contrary to the perception of gifted children as the perfect wunderkind. To the outside observer, my kids might look spoiled. They might look like inconsiderate brats on occasion, too. But the truth is their brains are neurodivergent. For all their intellectual prowess and processing efficiency, they can’t brush their hair or tie their shoes. I’ll be honest – the future does worry me. I can’t help but look at the way they function now and cower in fear. Will their roommates kick them out because of the gigantic mess they live in? Will they forget to pay their car payment? The rent? I’ve bought them a boatload of water bottles over the years, each lost to the ether. Will they grow up and misplace their own kids? 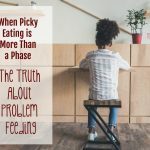 While the daily struggles of raising a gifted a poppy can be enough to make you crazy, it is possible to overcome the difficulties and set them up for future success. What matters most is the coping skills we teach and the systems we encourage. That’s the key to raising these kids without losing our ever-loving minds. Anecdotal evidence seems to suggest that gifted children need less sleep. They have difficulty shutting off their brains long enough to slip into dreamland, resulting in a variety of bedtime battles and a never ending cycle of crankiness and fatigue. Sleep is integral to emotional and physical well-being, yet we find ourselves unable to achieve it for us or our kids. We’re all tired, we’re all irritable, and we’re all worried – are they going to be like this for the rest of their lives? I don’t have a foolproof answer for this. For us, it’s been a combination of different things at different times. We’ve tried sound machines and weighted blankets; we’ve tried music and gentle massage. We’ve made space on our floor for our anxious kiddos; our voracious reader has a booklight and a precarious stack of tomes by the bed. Our goal right now is to get us the rest we need however we can get it. As they get older, we start turning those strategies over to the kids. 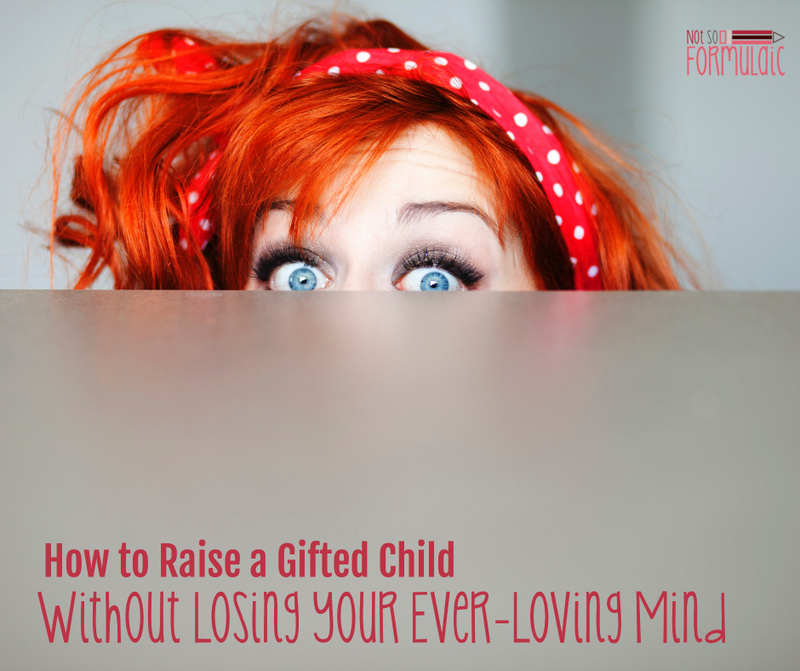 One of the most worrisome aspects of gifted parenting is the motivation dichotomy. In our house, this means hours upon hours of building in Minecraft. Ask the oldest to write an essay? I get two sentences, at best. What’s going to happen when she heads off to college? Is she going to write that 10-page paper, even though she’d rather be doing research in the field? Gifted kids struggle with motivation for a variety of reasons, whether out of boredom or disinterest or fear. The key is teaching them to develop a growth mindset, where they learn to recognize difficulty as a pathway to success. While growth mindset ideology has gotten a bad rap lately in gifted circles, Carol Dweck’s basic argument is solid. When our children begin to see challenge as a stepping stone instead of a stumbling block, they will be better able to dive into situations that would otherwise cause them to shut down. Executive functioning skills are those processes responsible for accomplishing daily tasks. From basic self-care to organizational skills, executive functioning helps us meet the expectations and responsibilities set upon us by the outside world. 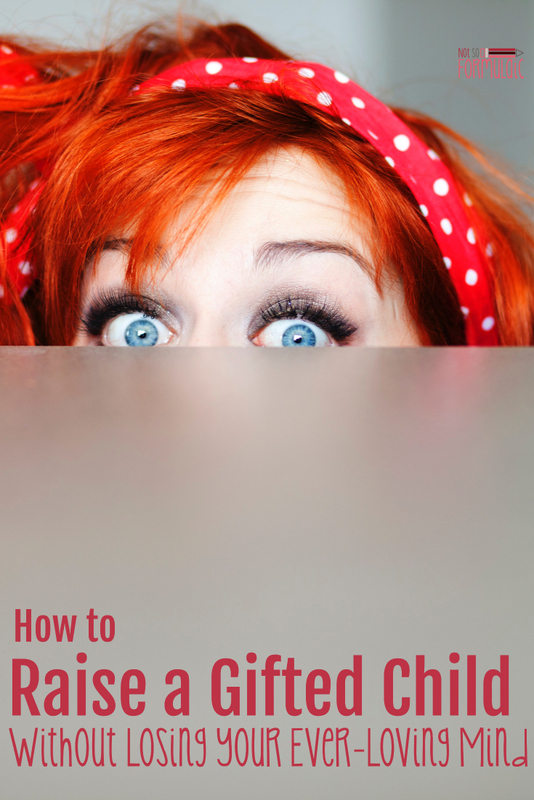 This set of mental processes can be difficult for a gifted child. 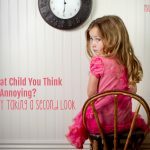 Often, they are so wrapped up in their own thoughts or daydreaming, you might have difficulty just getting them dressed. Long a tool for children on the autism spectrum, visual schedules take the stress and guesswork out of the daily routine. Our first visual schedule was actually a printout created by our then nine-year-old; she wanted to display a list of tasks she could check off each morning. We’ve changed our system over the years to rely on this magnetic board. Physical reminders are helpful also, such as a sand timer to let them know when it’s time to log off a game. We use a simple timer on the computer to help our oldest keep track of her time spent building; when it goes off, she finishes up, logs out, and moves on. 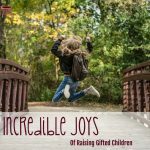 Also referred to as Excitabilities, a gifted child’s reaction to the world tend to run on overdrive. Gifted children are more – more intense, more curious, more active – and often, more difficult to entertain and engage. 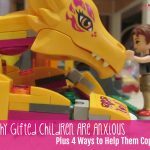 While many of these traits are admirable, they open the door to the possibility of increased emotional distress – gifted individuals report higher rates of anxiety and depression than the general population, up to a full 20%. Whether a child is homeschooled or sitting in a classroom all day, a gifted mind needs an outlet for ideas and inspiration. Providing ample opportunities for physical exertion, creative endeavors, and intellectual discovery help feed that desire and ward off feelings of isolation and depression. Additionally, finding intellectual peers for your child will help build social skills and communication patterns. Parenting is hard. Parenting a gifted child adds a brand new set of challenges. Someday, our gifted children are going to the leave the nest. How can we ensure a successful launch when it seems like they’ll never make it through? The answer lies in strategies, in the systems we put in place every day. When we set our children up with the structure and support they need when they are little, they’ll be able to function successfully when they grow up and fly away. Ginny, I love your blogs, they speak to me like you’re in my head! All the things I think about, you put in your blog. Really useful tips, and an acknowledgement to us ‘everloving’ (with difficulty sometimes) parents. I am a New Zealand mum to two gifted girls, and its wonderful to have intelligent, compassionate support through what you write. Keep it coming, we need it! Thank you so much, Sharon. That is really kind of you! I’m glad to have community out in the blogosphere. Best wishes to you!